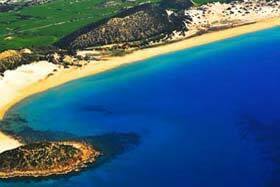 Travel to Northern Cyprus is easy. There are several ways to get there. You can either choose to travel by plane or ferry. 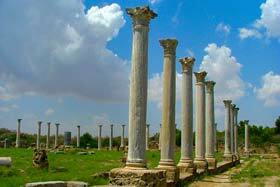 If you are in the UK or Europe you can get flight to Ercan Airport in Northern Cyprus. As an alternative you can also fly into Larnaca Airport in the South and cross the border without any hassle, it is about 20 minutes drive to Nicosia or 1.5 hours to Kyrenia from Larnaca Airport. Another way of travelling to Northern Cyprus is by ferry. 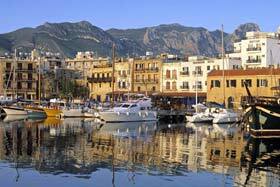 You can find ferries from Turkey to Kyrenia or Famagusta every day. It is only a 3 hours journey by ferry from Turkey. 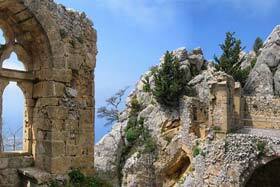 Once you are in North Cyprus there are several ways to get around or explore the island. One of the best choices of getting around in Northern Cyprus is to hire a car which makes you feel free to travel everywhere you want. Or there are local busses from city to city in every hour. But if you would like to go further to Mountains or local beaches hiring a car rental is the best option that we recommend. When your plane lands, you need to get a transfer to your hotel or villa. It is easy, most car hire companies in Northern Cyprus provide free airport delivery if you hire it over 7 days, and you can drop your rental car at the airport when going back. Alternatively you can get a bus or taxi which will cost you a bit more. All the taxies in Northern Cyprus are Mercedes unlike in other countries. Is it safe to travel to Northern Cyprus? Yes, North Cyprus (also known as Turkish side of Cyprus) is one of the safest places to visit in the world. Nonetheless, we recommend that you use the safety deposit boxes available in most hotels. 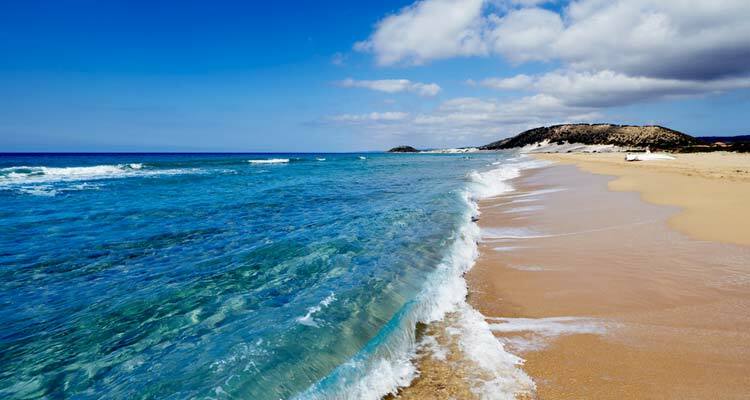 Do I need a visa to visit Northern Cyprus? The citizens of EU, United States, New Zealand, Australia, South Africa and Japan do not require visa. For other countries, Turkish Republic of Northern Cyprus visa requirements can be obtained from the nearest office of the representative for TRCN or Embassy. What currency is used in North Cyprus? Turkish lira (TL or ) is the currency in Northern Cyprus. EUR, GBP and USD are also widely accepted. It is recommended to carry some Turkish lira for the small shops. Exchange offices are available in towns. The new Turkish lira sign () is sometimes mistaken with € sign. Turkish Lira symbol is composed of the letter L shaped like a half anchor, and embedded double striped letter T angled at 20 degrees. 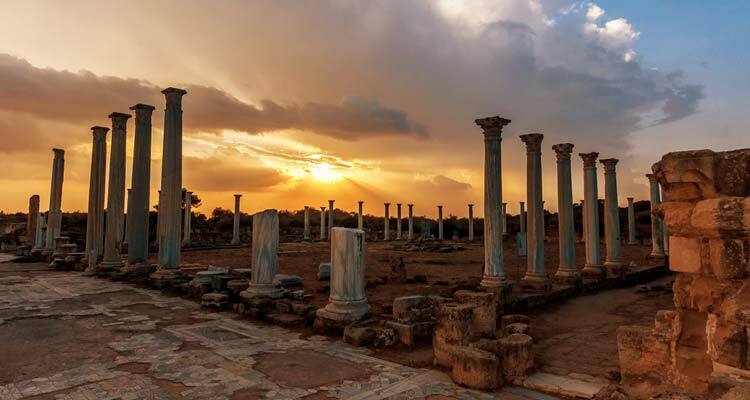 We have gathered some of useful North Cyprus travel tips below. North Cyprus is served by its own airport at Ercan, just east of Nicosia. Many hotel and car hire companies offer a free pick up service to their clients. This is especially valuable for independent travellers. Many fly into the southern airport of Larnaca and it is wise to have a taxi sent to bring you north. Again your hotel or car hire firm will organise this for you at a cost. On entering the country there is a small visa slip to fill in with nothing more than your name, passport number and nationality. This will be stamped instead of your passport and is valid for 90 days. There is no charge. Keep the slip with your passport and it will be stamped again on exit. These slips are available at the passport control desk and, if coming from the south, the taxi usually has a supply. Car hire in the North is not unduly expensive and they drive on the left, same side of the road as the UK. It is not advisable to take a hire car to the south. There will be extra insurance to pay at the border and nobody to assist in a breakdown or accident. Electrical sockets are UK style 3 pin plugs and the voltage 220/240 AC and adapters are freely available for two pin plugs. English is spoken widely throughout the tourist regions. Chemist shops are open 6 days a week with a duty chemist opened on Sunday. The duty chemists are advertised in the local English language newspapers. Many of the medications you expect to find in the UK are on sale here. In addition many prescription medicines are available over the counter. 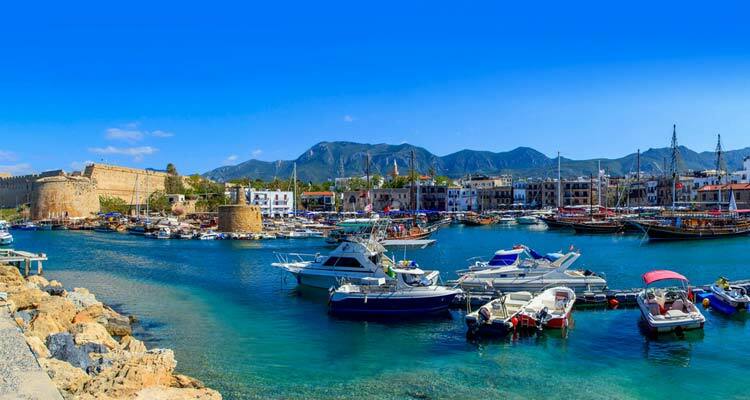 There is an excellent mini bus (dolmus) service which runs mainly to the many towns and villages west of Kyrenia and a lesser service to the east.